Graymont(JM) Parks and Recreation Department engineers have completed their plan for repairs to the upper deck of Legion Field which was found earlier this year to have become structurally unsafe. The heart of the plan is an idea that Birmingham Parks director Melvin Miller is borrowing from the City's Department of Streets and Sanitation -- duct tape. "We saw how successfully duct tape was used on the 21st Street Viaduct, and knowing there would be very little budget available for structural repairs, we thought it might be the perfect match for our needs." Miller eventually contacted Lee Warner, then director of the Alabama Historical Commission. "I met at length with Dr. Warner and looked at a great number of applications of duct tape in the stabilization of historic structures. The State of Alabama really seems to be at the forefront of developing this technology for use in the preservation field. Unfortunately, the Commission was unable to secure grant money to help fund the approximately $30,000 we would need to cover all of the girders, beams and columns supporting the upper deck." With the materials in hand, all Miller needed was the money to pay crews for the extra time needed to apply the duct tape. Jefferson County Commission president Larry Langford came to the rescue, forcing through a last-minute 15 percent tax on income generated through parking cars in the front yard of a residence. The tax is expected to raise up to $20,000 a year which will allow for quarterly re-inspections and re-applications recommended by the duct tape council. Even though they could not provide a monetary grant, The Historical Commission did help to set up a tour of Legion Field for members of the Preservation Trades Network during their annual workshop, held this year in Mobile. The tour will serve as a showcase for the new product as well as generating some much-needed positive publicity for the stadium once known as the Football Capital of the South. Unfortunately the repairs will come too late to salvage the University of Alabama's contract to play one directional school opponent in the stadium each year through 2008. 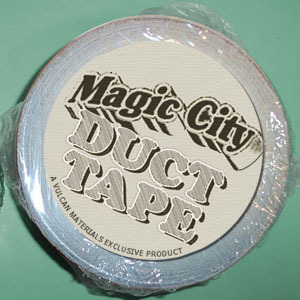 Miller, however, believes that with Magic City Duct Tape holding things together, they can milk another 7 to 12 years out of the "Old Gray Lady" for smaller events such as UAB football, Rolling Stones tours, and the World Cup of Soccer. 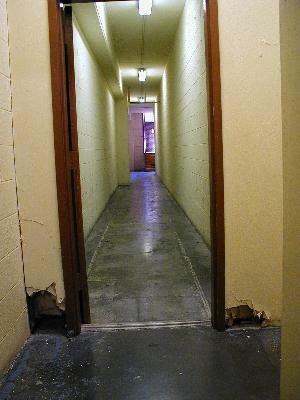 Five Points() The grand walkway between the Pickwick Hotel and the retail section smells a little bit strange, according to one local resident. The discovery was made by Five Points resident Meredith Kinney as she was looking for a way out the back to her parked car on 10th Avenue. "I was having lunch with the girls at Cosmos and thought I would go out the back rather than going over to 20th Street. I thought I had found the way out in the corner by Halfshells [sic], but it just ended in a locked door. That's when I noticed the smell." Kinney was unable to determine the cause of the odor, but insisted that it was reminiscent of a funny smell she had noticed once before when walking under the 18th Street viaduct. Further investigation by anti-terrorism officials determined the smell to be urine. "Most specifically human urine," said detective Thad Nelson. "We aren't quite sure how that much [urine] got there, but we are investigating." For her part Kinney says she won't quit coming to Cosmos, but she probably won't try that walkway again. "I wouldn't mind the funny smell so much if the walkway went somewhere," said Kinney. "I mean why have a walkway to a locked door, with no stairs down to the sidewalk? It just doesn't make sense." In addition to the smell, Kinney noticed a door with some strange writing on it. "It looked like something you'd see inside the [Upside Down] Plaza," said Kinney. Lakeview() A little noticed bronze marker stands at the edge of the Historic Lakeview community, attesting to the fact that the people of Birmingham are interested in what used to exist. The marker leans somewhat and has severely weathered with age. Placed in 1956, it harkens back to an age of innocence, the carefree times before the civil rights era. Recently developers wanted to remove the marker to make room for some mixed commercial and residential development, complete with condominiums and secure parking, but the historic neighborhood association exercised their power to stop the development. "We are sick of history being lost in the name of new development and re-development," said Janice Comer president of the Lakeview Neighborhood Association. 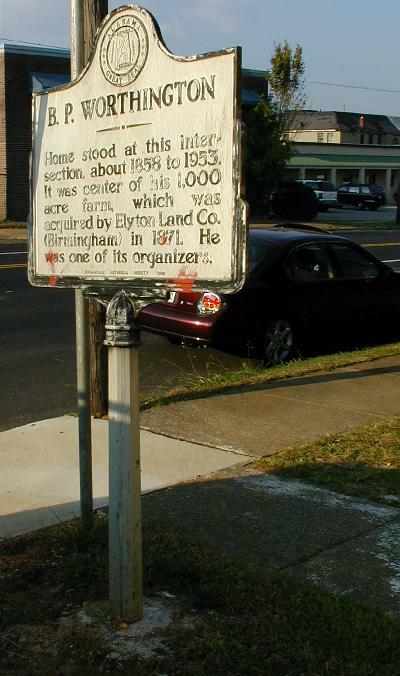 When the marker was erected, the neighborhood and America were much different places. The only thing we had to fear was Communism. Television was less violent and more reflective of true family life at the time. "All of this unwholesome new development is not in keeping with the way things were when they put up that marker," said Comer. "We never had any Irish in Lakeview, much less a pub for them to drink in." Developers from Sloss Realty Company were taken aback by the resistance they faced over a simple marker. "The plan was to take the marker down temporarily and then affix it to the side of the new condos," said Ike Hill the construction supervisor. "Not only did they want the marker to remain, they didn't want any development within three blocks! I thought everyone liked what we had done in Lakeview." After stopping the development, Comer and her group lobbied the city council for additional funds for a new marker to be placed next to the existing one, along with a permanent dedication. The council also provided $200,000 to pay a restoration consultant to develop a plan to preserve the existing marker. The plan calls for scaffolding to be erected around the marker, with aerogel pads to be placed anywhere the scaffolding may come into contact with the marker. Conservators will be able to work through the scaffolding to clean the marker using a diluted vinegar and lemon juice solution. After that, a thin coating of beeswax will be applied as a sealer. When the scaffolding is removed, a shelter will be built over the marker to shield it from wind, rain, and UV rays. The cost of this restoration is not expected to exceed $500,000. The eventual goal of the association is to bring Lakeview back to the good old days of post-war Birmingham. The group has plans for constructing several VFW posts with large dance halls and a new drive-in theater. "We can use The Break [sic] for one of the venues," said Comer. "And the Bombay Cafe could become some sort of gentlemen's club. Eventually all of this development that we don't like will go away."